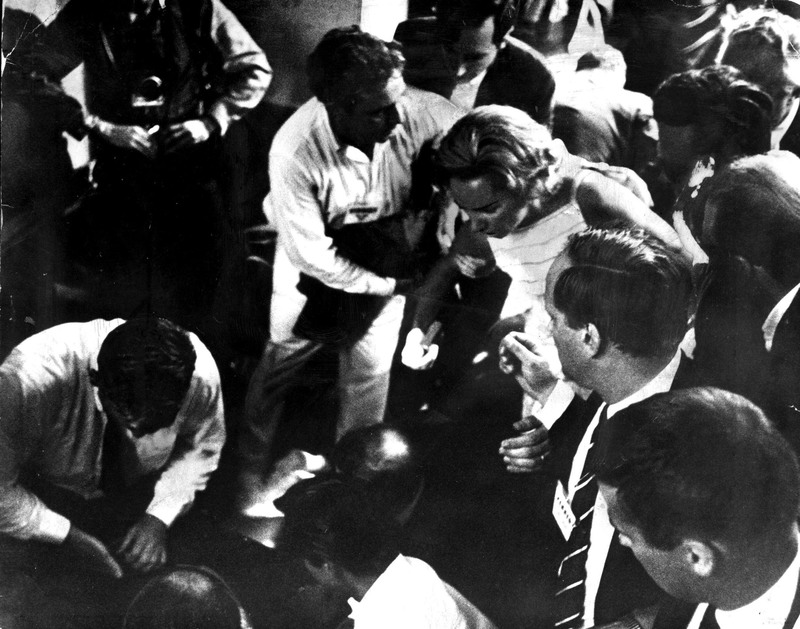 On the night of Robert Kennedy’s murder, a young photographer named Scott Enyart had his film confiscated by the LAPD. 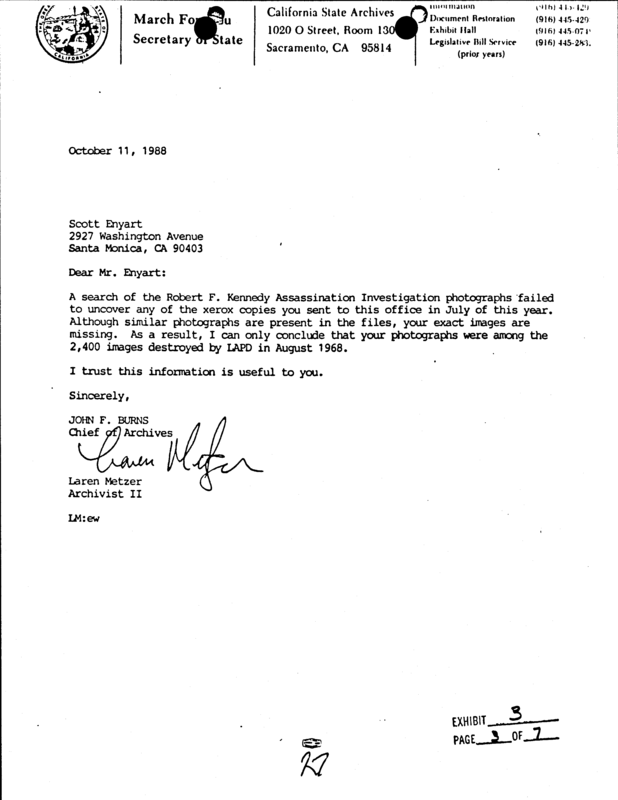 More than twenty years later, Enyart sues the city, claiming his missing photographs could have been the only known pictures of the assassination. The photo presented at trial that Enyart claimed showed him standing on the steam table of the pantry at the Ambassador. The letter Scott Enyart received from the California State Archives stating that his photographs were among the evidence destroyed by the LAPD. 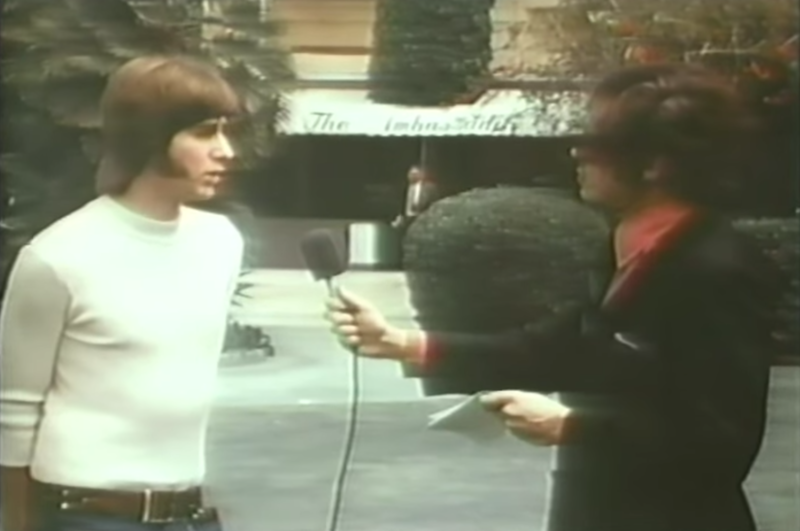 Ted Charach interviews Scott Enyart outside of the Ambassador Hotel for The Second Gun. 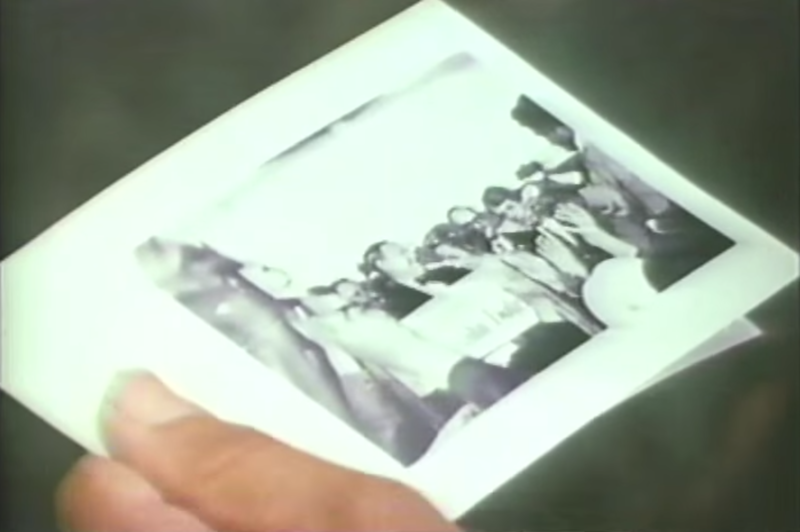 Ted Charach shows the prints Enyart received from the LAPD in his documentary, The Second Gun. 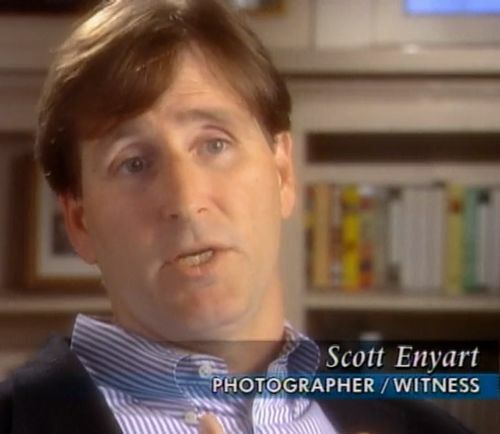 Scott Enyart appears on an episode of Spike TV's "Unsolved Mysteries." This episode was produced by Jesse Rudoy, Bill Klaber, and Ula Kulpa. Production assistance by Kevin Shepherd. This episode was mixed and sound designed by Sam Bair. Music by Kenny Kusiak. Additional music by John Kusiak. Our title track is Maria Tambien by Khruangbin. Our credit track this week is Photograph by Elephant Stone. 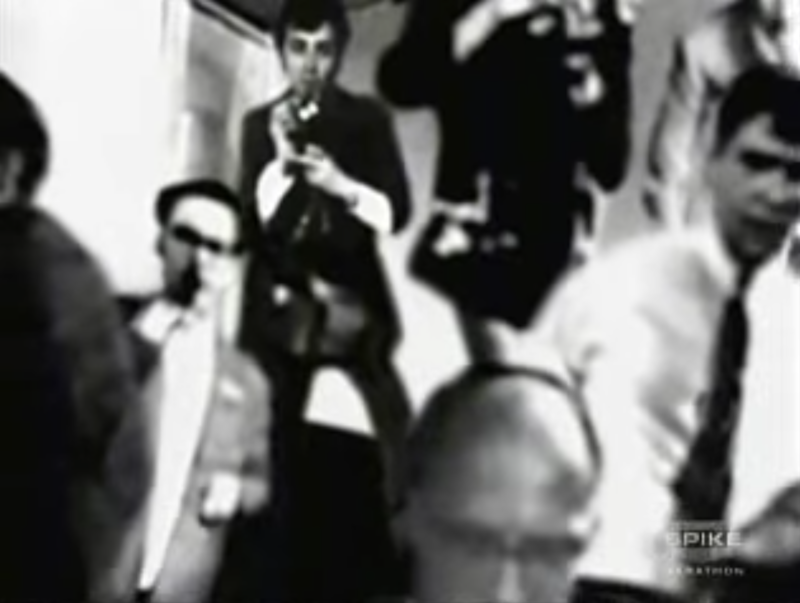 Archival footage courtesy of the California State Archives. Thanks to Jean Klaber, Emily Wiedemann, Greencard Pictures, Alessandro Santoro, and the team at Cadence 13. If you like the RFK Tapes, please consider leave us a rating and review on Apple Podcasts, or wherever you listen. It really helps others find out about show.